Original watercolor painting of my Muse who I saw in meditation. 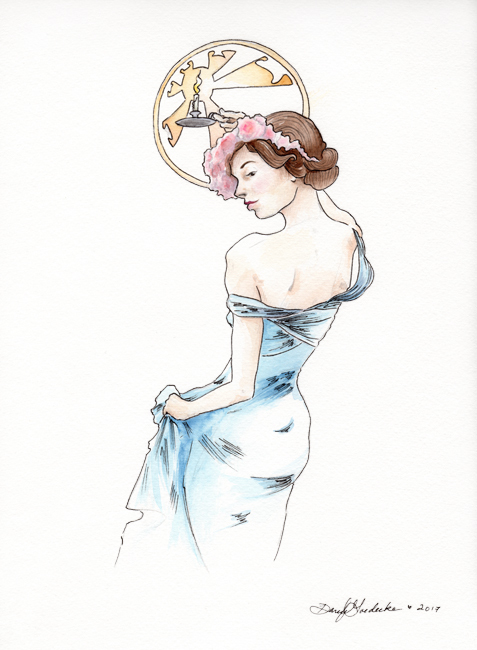 I did the drawing for this painting in 2013 in Art Nouveau style, which is one of my favorites. It was so fun to paint her!